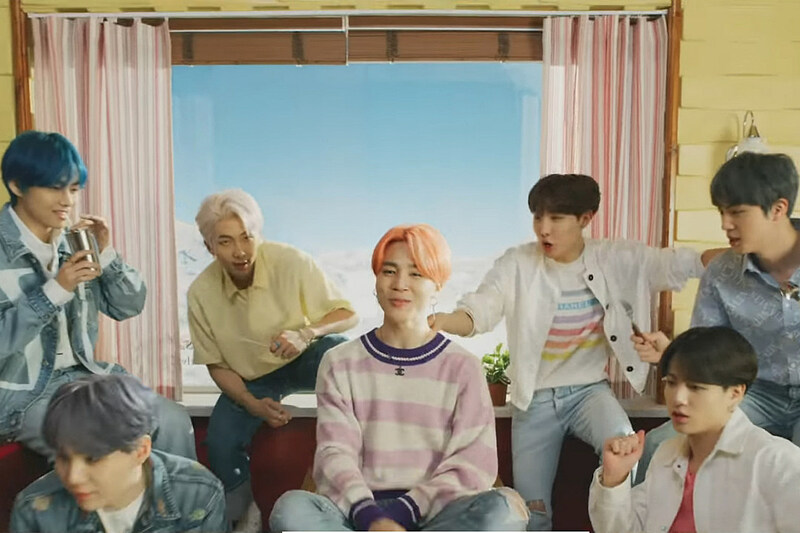 BTS‘ “Boy With Luv” music video featuring Halsey is officially here! The group dropped the colorful visuals for their highly-anticipated collaboration with the “Bad at Love” singer early this morning (April 12)—and it’s everything we could have hoped for and more. Not only does the track have “song of the summer” vibes, but the video features the boys showing off their incredible dance moves. It’s a big week for RM, Jin, Jimin, Suga, J-Hope, V, and Jungkook, who are scheduled to perform on this weekend’s Saturday Night Live for the first time ever—and where loyal fans are camping outside all week!